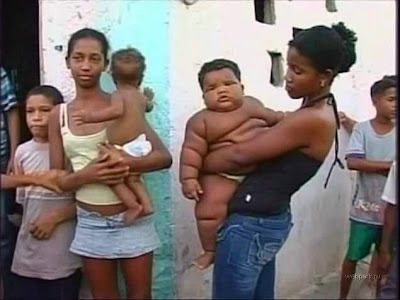 This bundle of blubber may only be 11 months old, but he is already the size of an eight-year-old.The giant baby tips the scales at a whopping 61lbs 12oz (28kg) and stands four and a half stone larger than his older brother. Due to his hefty frame the toddler also has to wear huge nappies. 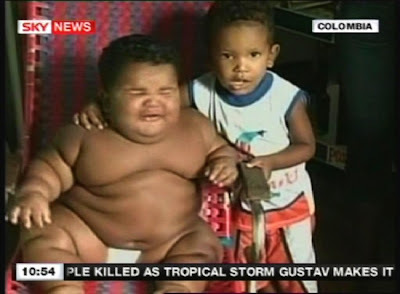 His mother, Milena Orosco de Agudelo, said her son started ballooning at just two months old. 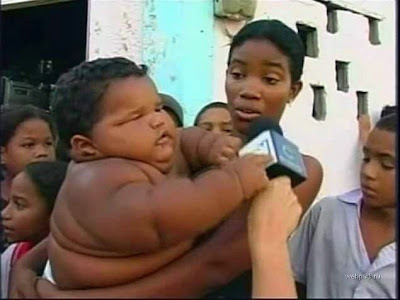 The baby has had undergone a number of medical examinations which suggest he may have a problem with his endocrine system. Ms Orosco said: 'He had some tests done and the results show that he has a thyroid malfunction. 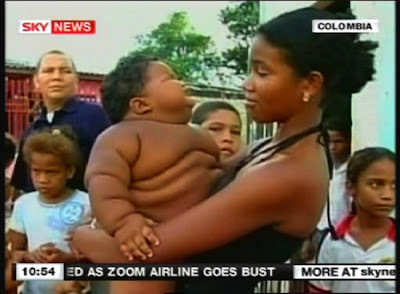 The normal weight for a boy his age is between 13lbs 4oz and 15lbs 7oz (6-7kg) and now baffled doctors in Colombia are trying to work out how he became so big.